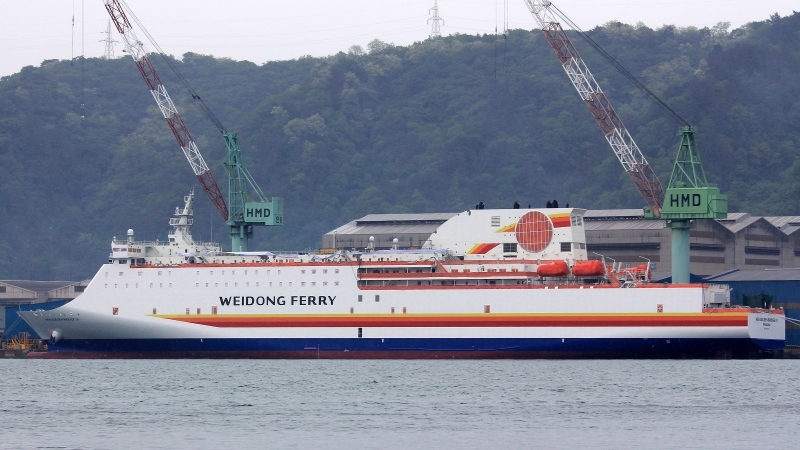 New ferry for Weidong Ferry, recently launched at Hyundai Mipo Dockyard. Quite odd really that many of these scrubbers are still that big, as I think some companies have produced much smaller systems (Lang Tech from Finland and I think a Japanese company as well). Thanks for the links Vlad. Clearly the scrubbers and housings are getting larger, so I wonder when the first, brave naval architect will design something to disguise their enormity. This photo has been shown 1,435 times since it was added to the site.